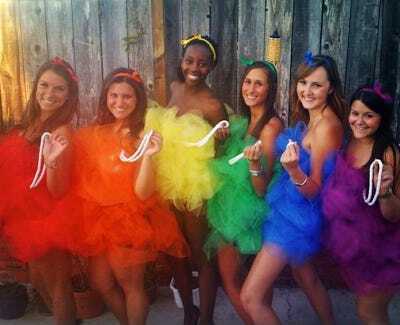 Struggling to decide what to be for Halloween tonight? 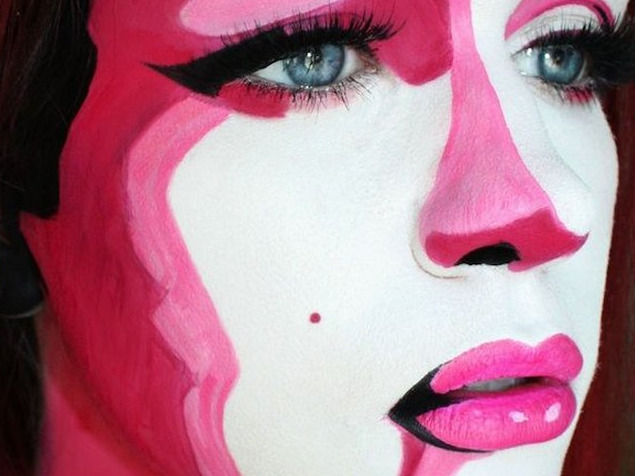 These last-minute make-up ideas from Pinterest are all so bold that it won’t really matter what you’re wearing. 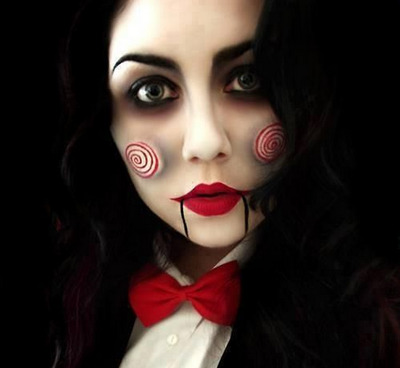 Pinterest says there have been 176 million pins dedicated to Halloween so far this year, and that about 78% of Pinners plan to spend between $US10 and $US49 for their costumes this year. The average person spends $US77.52. We got a list of the most popular make-up looks on Pinterest — here are our favourites. 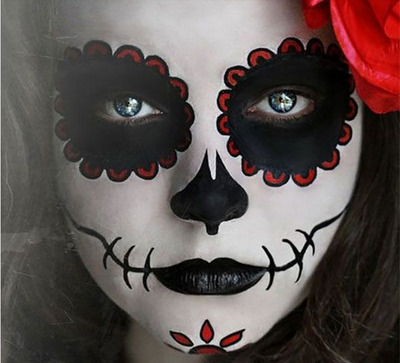 Sugar-skull make-up has been huge on Pinterest this year. 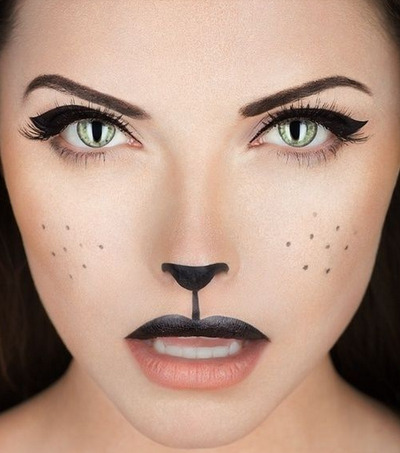 Cat make-up is easy -- then just add ears! 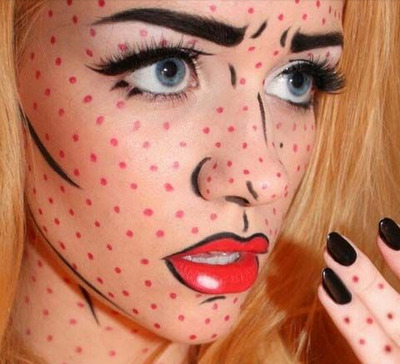 Add some dots and lines and you're a comic book character. 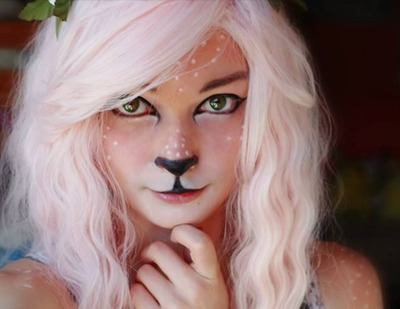 Like a cat, the fawn look is easy to create. This rosy-cheeked scarecrow is adorable. 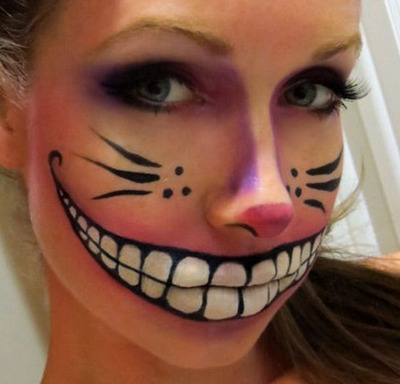 For a more feisty feline, try the Cheshire Cat. An even spookier look: the doll from the 'Saw' movies. 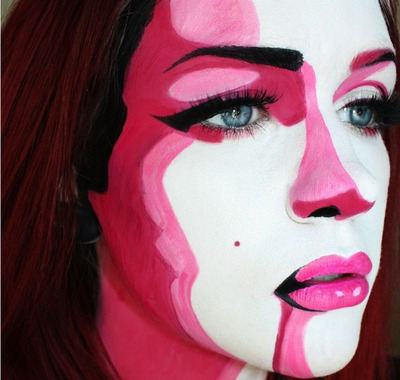 Transform into a piece of modernist art with this face-paint. 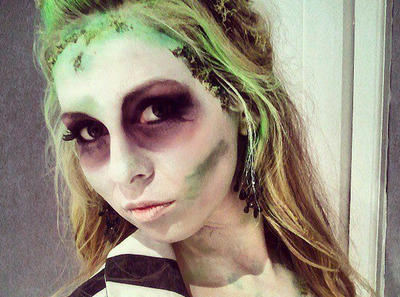 Grab some purple and green make-up and boom! You're Beetlejuice. 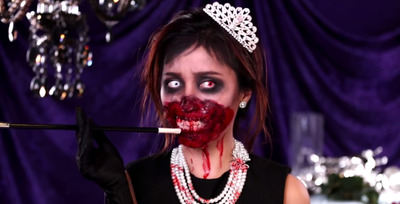 Added bonus: YouTube star Michelle Phan created a 'zombie Audrey Hepburn' look exclusively for Pinterest. Have a little more time on your hands before you go out?